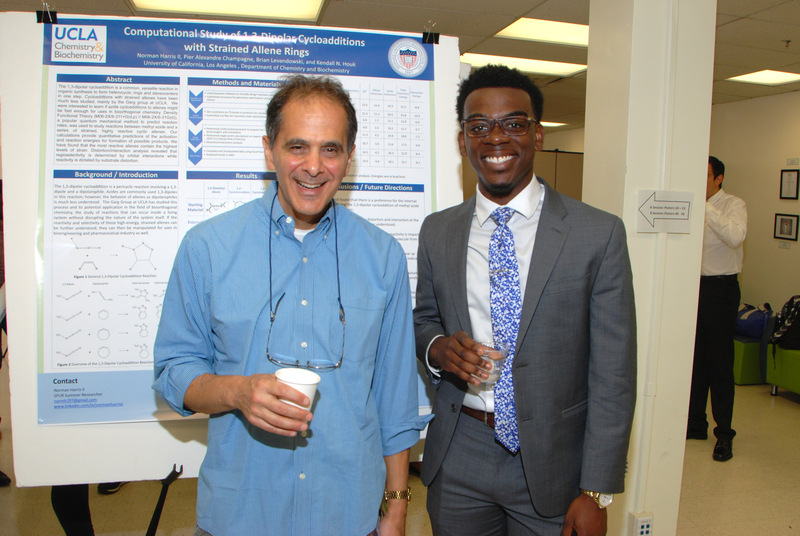 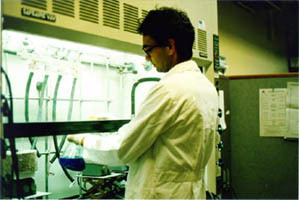 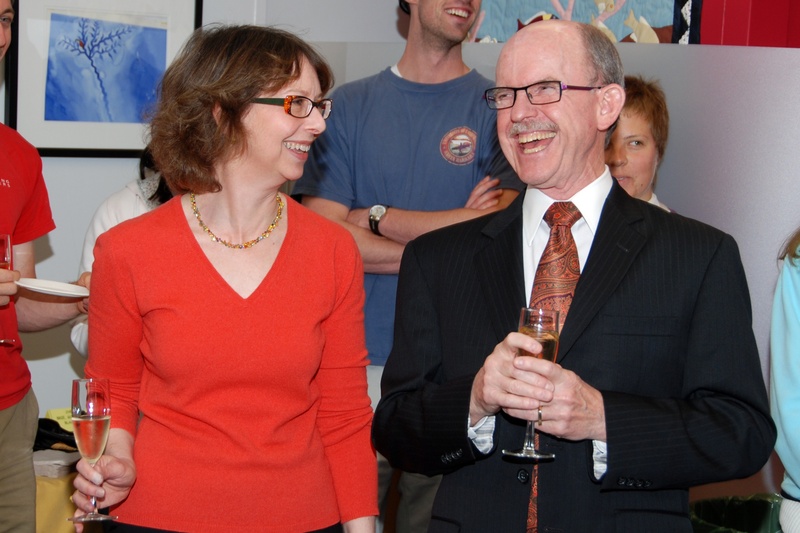 Professor Al Courey and summer researcher in Professor Houk's labs, Norman Harris II. 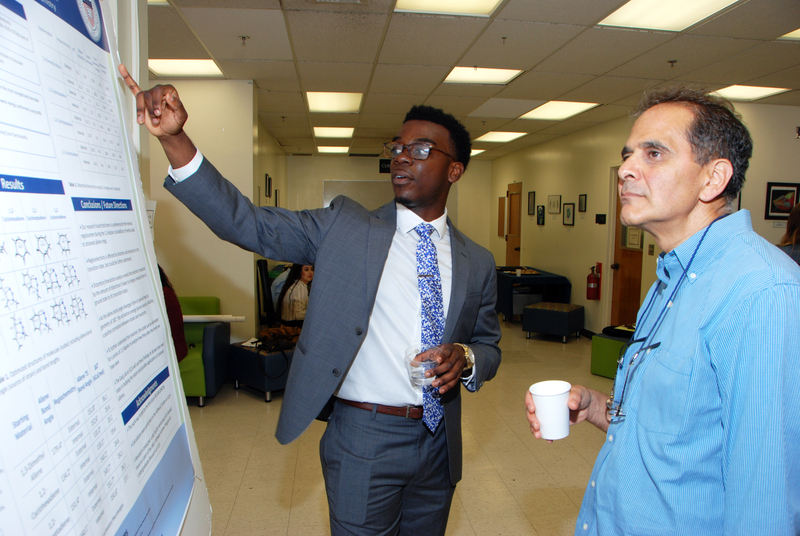 Norman Harris II discusses his poster. 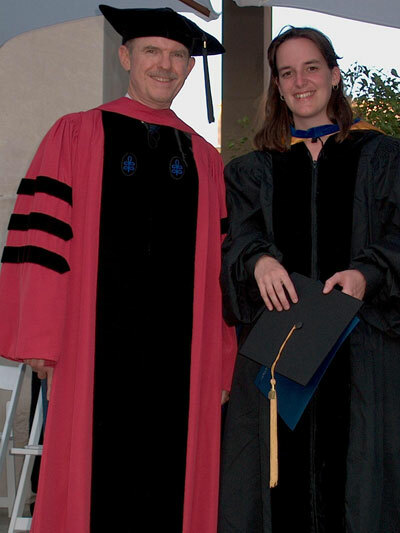 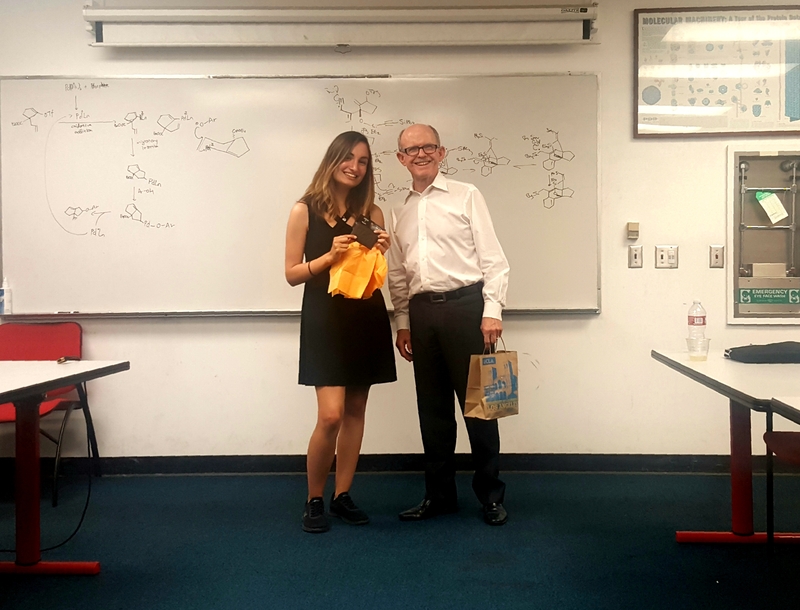 Summer student Volga Kocasoy (Bogazici University, Istanbul) and Professor Houk. 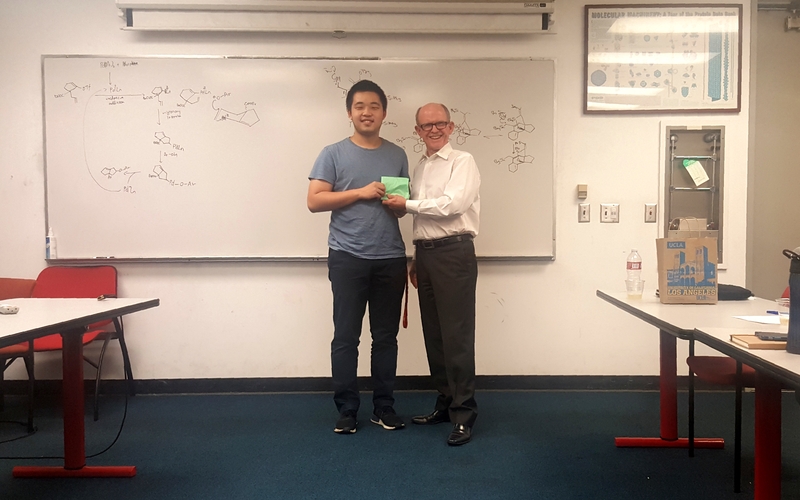 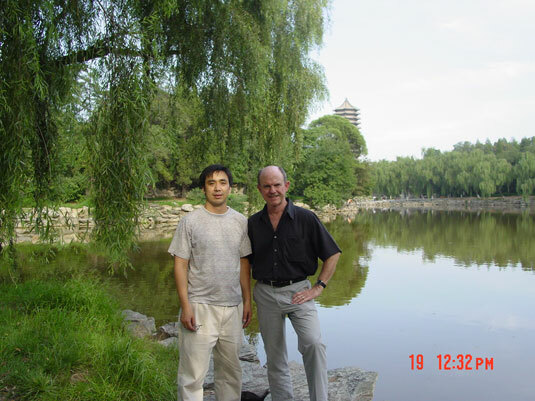 Summer student Tony Zhang (Imperial College, London) and Professor Houk. 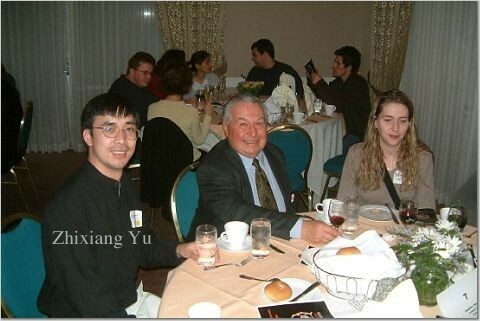 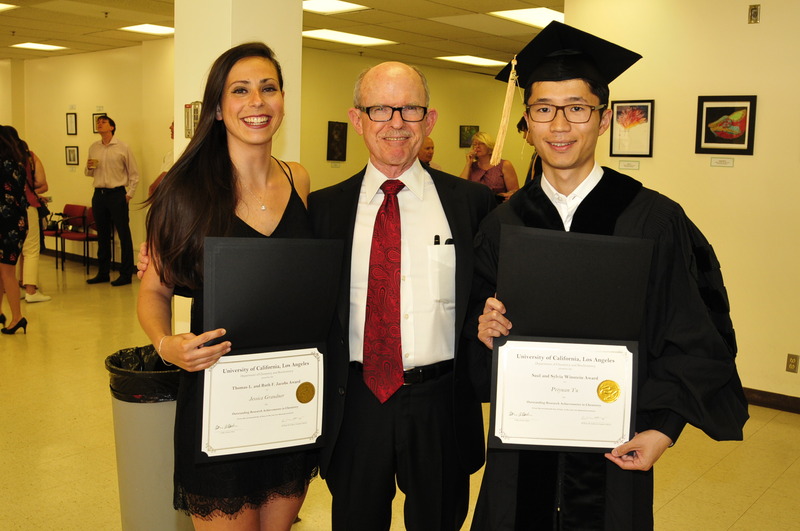 Jessica Grandner (Thomas L. and Ruth F. Jacobs Award winner), Ken Houk, and Peiyuan Yu (Saul and Sylvia Winstein Award winner). 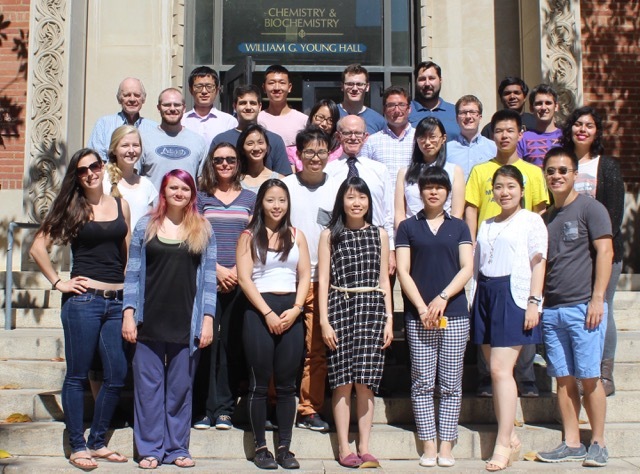 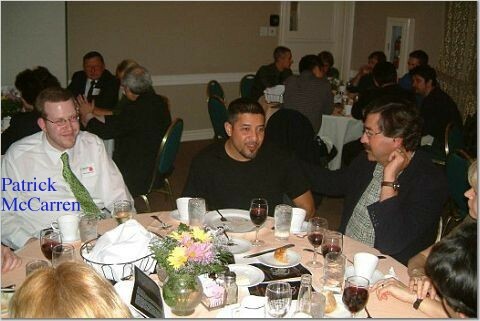 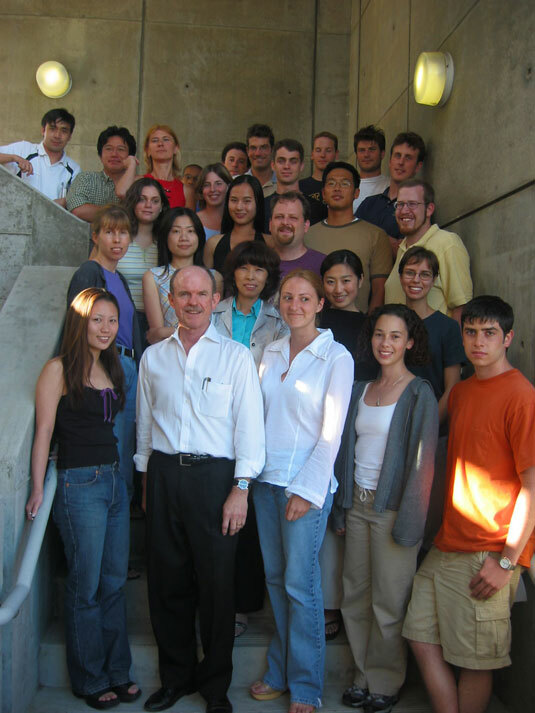 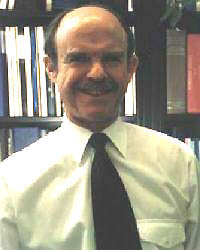 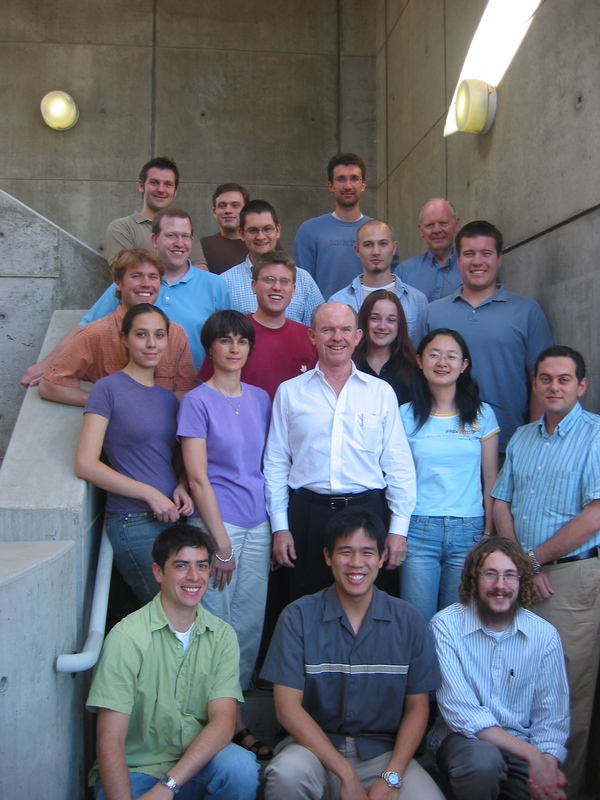 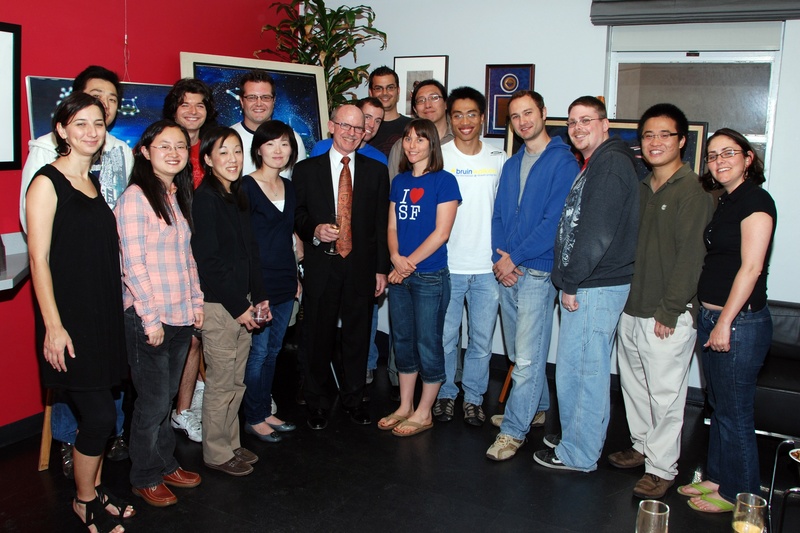 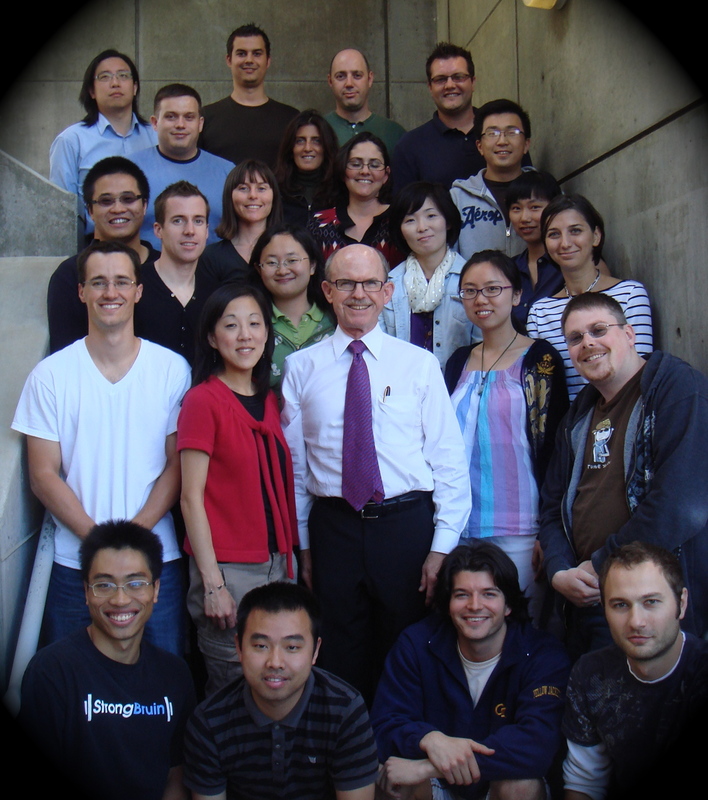 A Symposium was held in honor of Professor Houk at the Western Regional American Chemical Society Meeting in San Marcos, CA, on November 7, 2015. 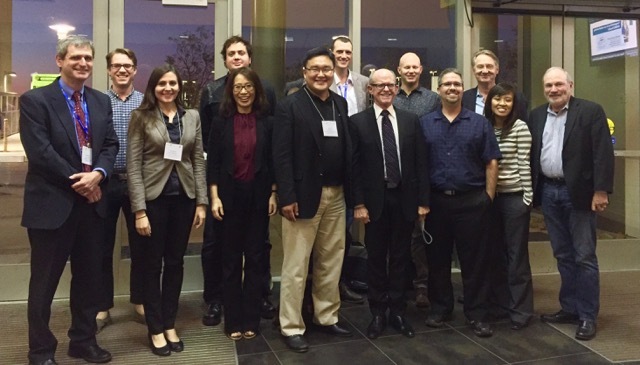 The Symposium was organized by Dean Tantillo and featured former students, collaborators, and colleagues from the West Coast. 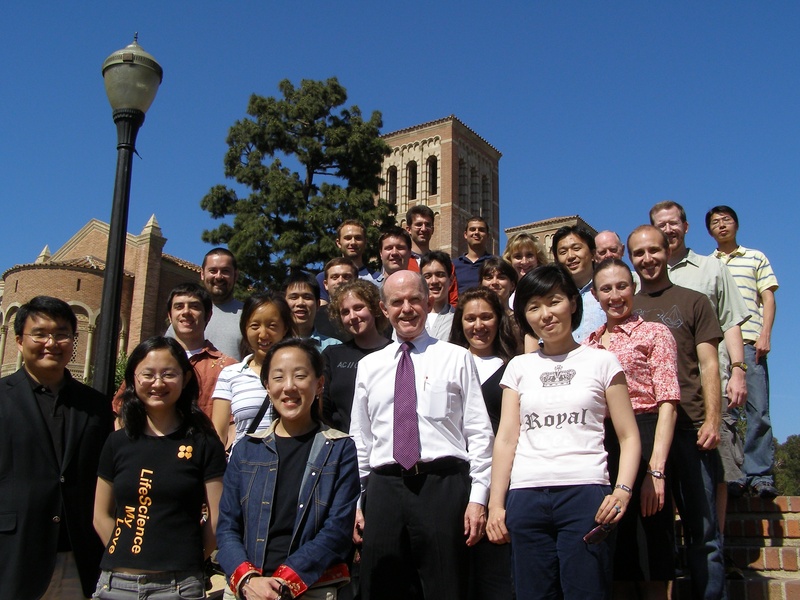 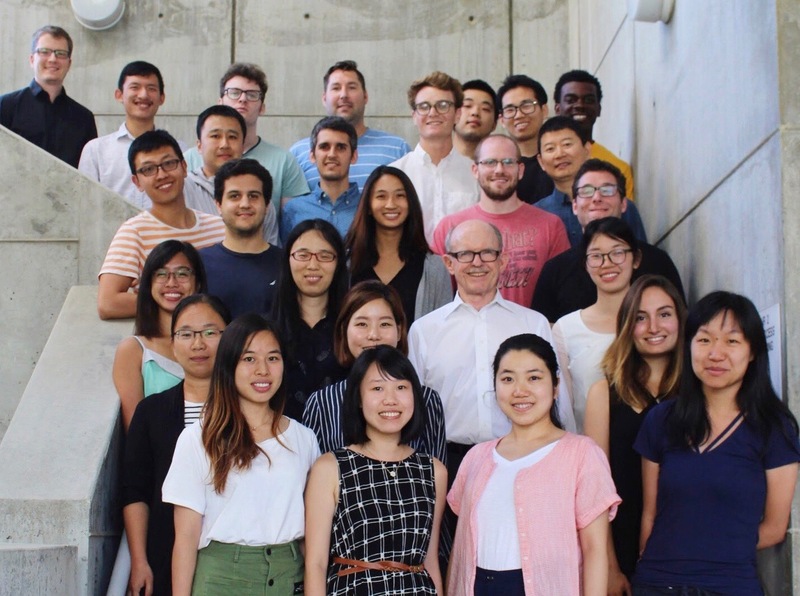 From left to right: Daniel O'Leary (Chair, Chemistry, Pomona College), Noah Burns (Stanford), Sharon Neufeldt (UCLA), Ohyun Kwon (UCLA), Michael Bartberger (Amgen), Paul Cheong (Oregon State), Jason Hein (UBC), Ken Houk (UCLA), Chris Vanderwal (UCI), Dean Tantillo (UCD), Dan Little (UCSB), Vy Dong (UCI), Dennis Dougherty (Caltech), not shown: Justin Siegel (UCD). 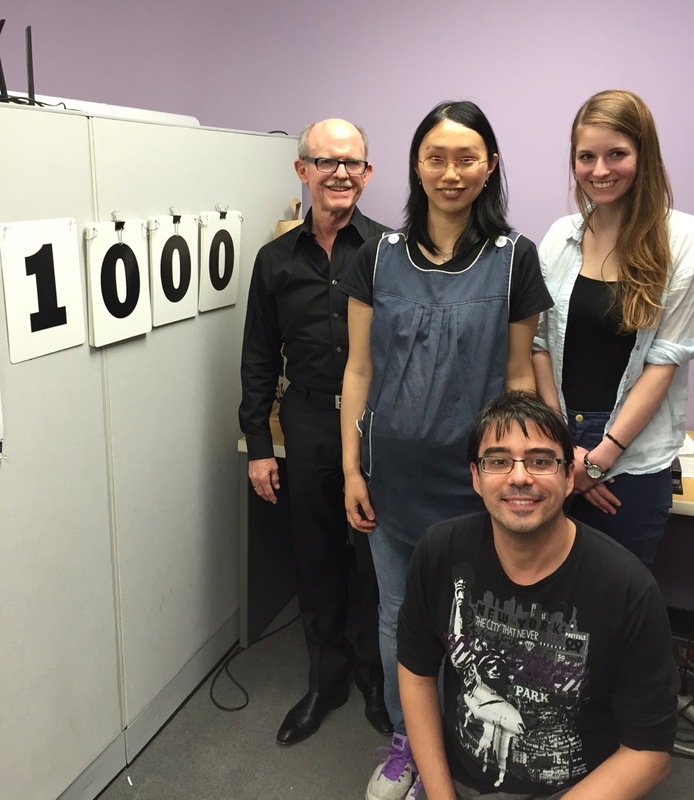 Professor Houk celebrates the publication of his 1000th paper with his team of co-authors: Acia Liu, Lisa Tork, and Gonzalo Jimenez-Oses. 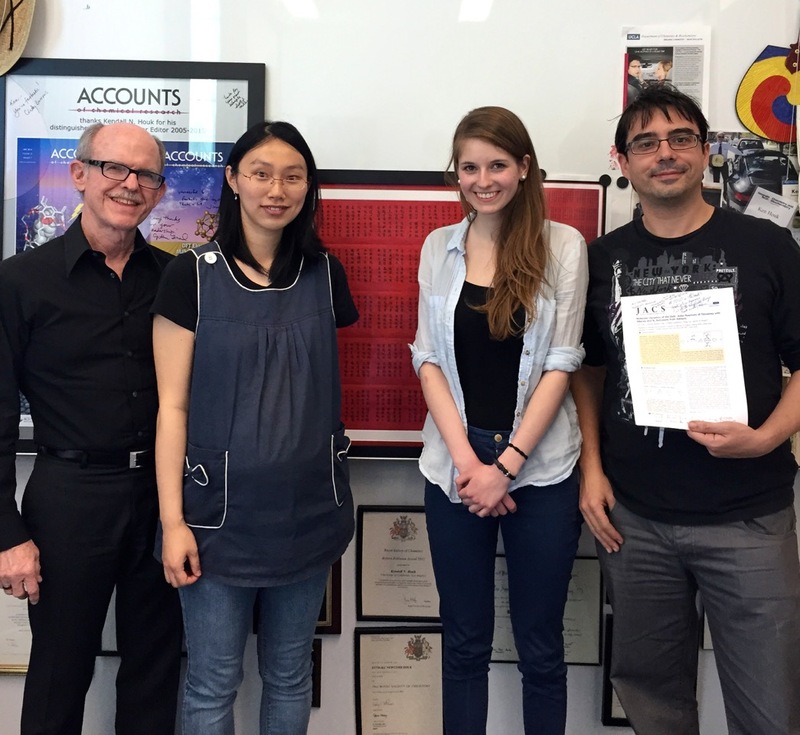 Professor Houk and his 1000th paper team of co-authors: Acia Liu, Lisa Tork, and Gonzalo Jimenez-Oses. 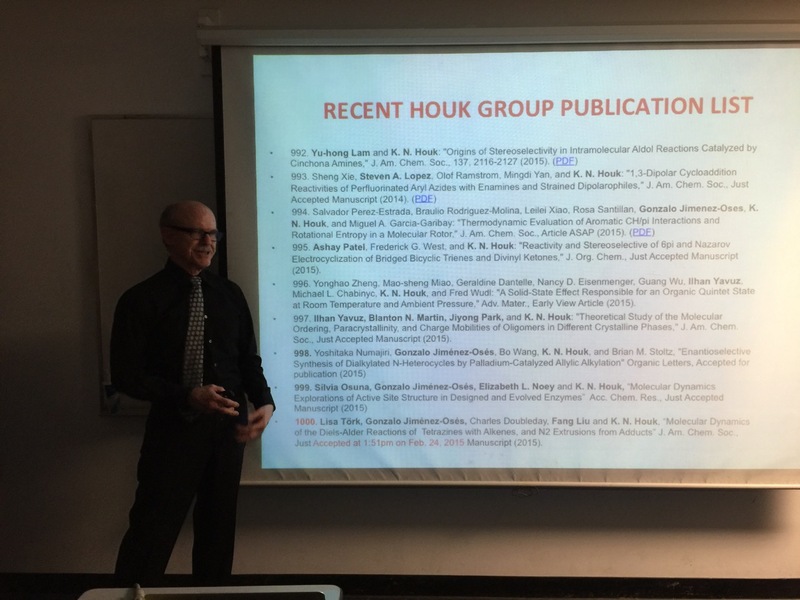 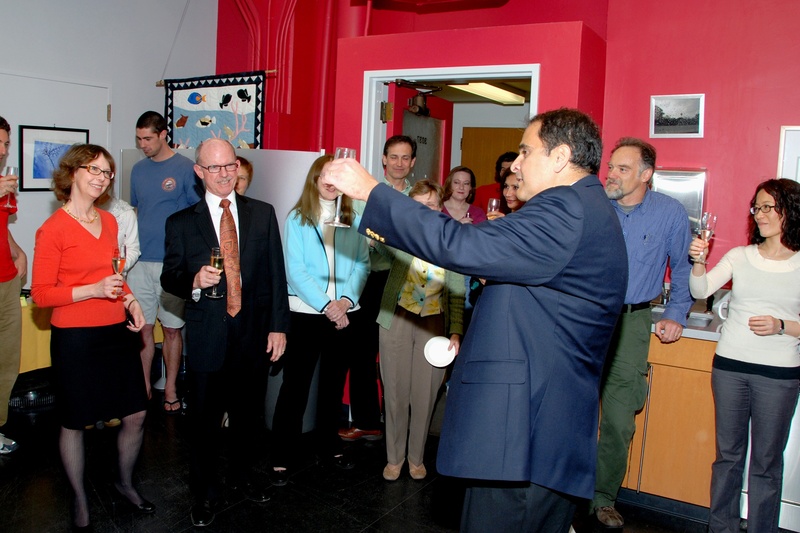 Professor Houk's 1000th paper has just been accepted. 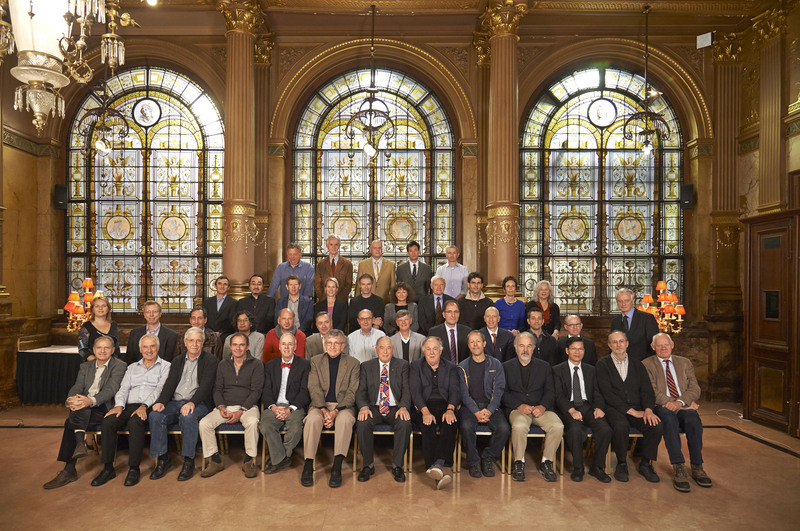 23rd Solvay Conference, Brussels, Belgium. 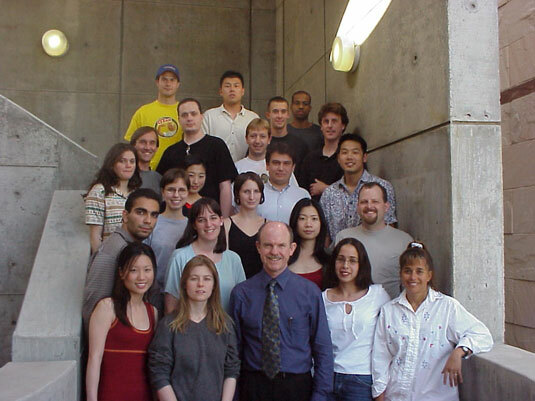 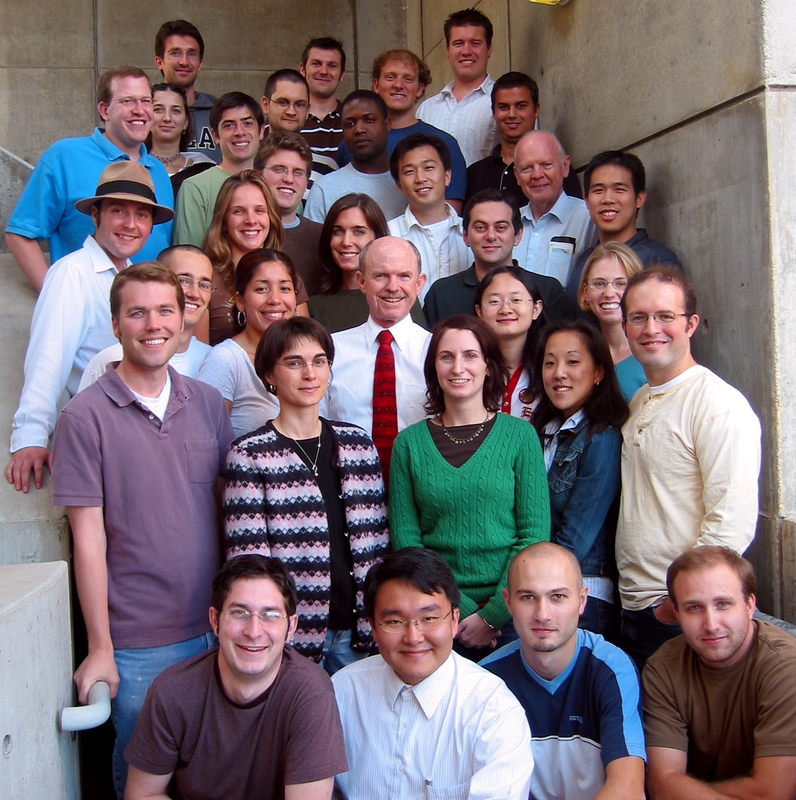 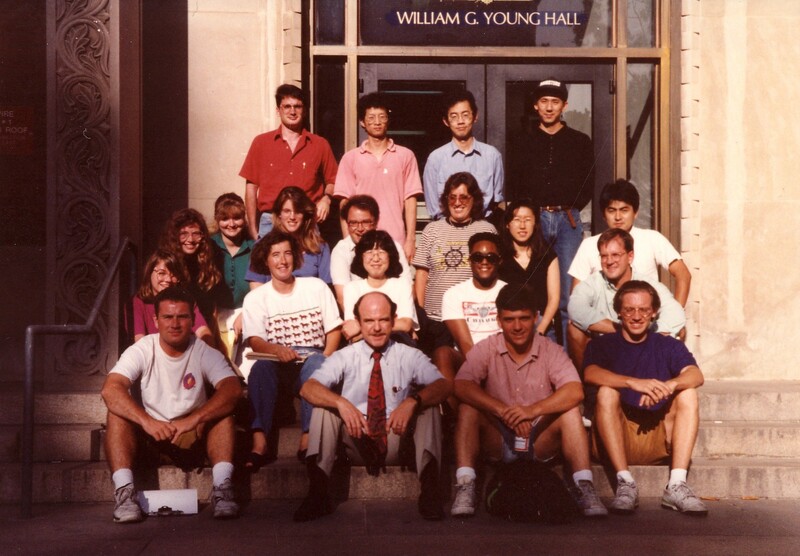 Professor Houk is second from the right, second row. 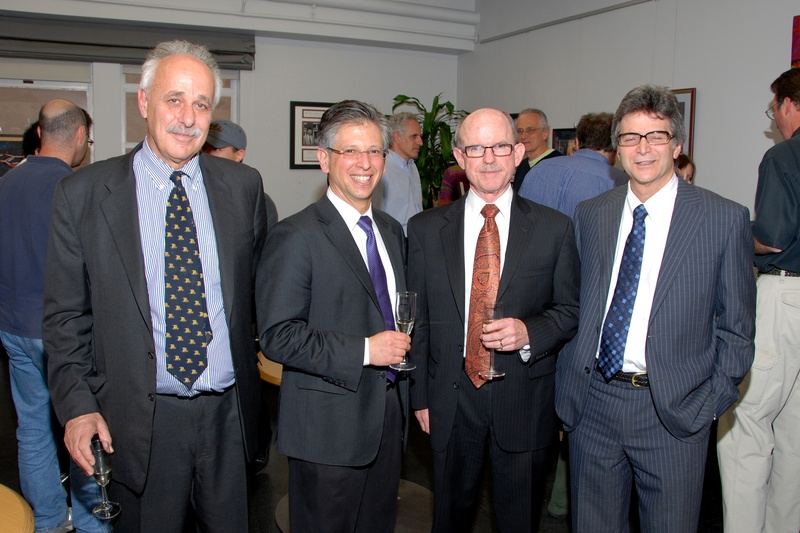 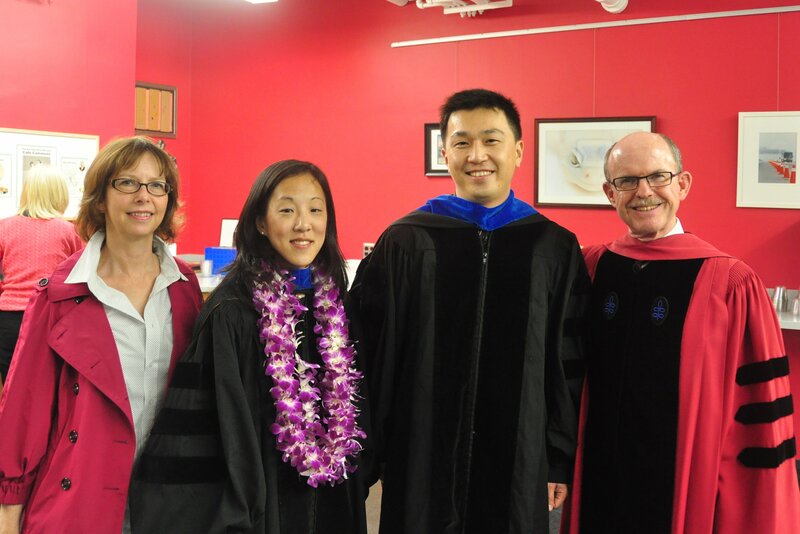 Robin Garrell, Joann Um (Jacobs Award Winner), Peng Liu (Winstein Award Winner), and Ken Houk. 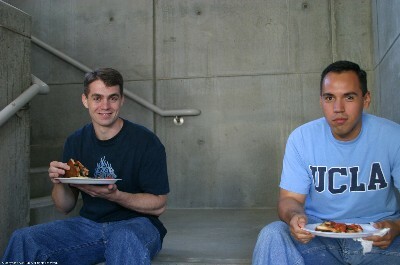 Photos courtesy of Penny Jennings Photography. 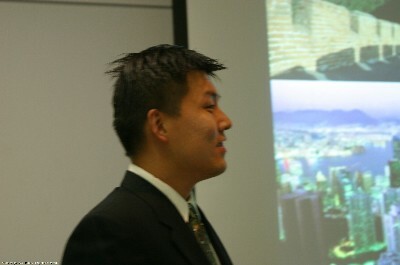 For more photos of this event, please see this page. 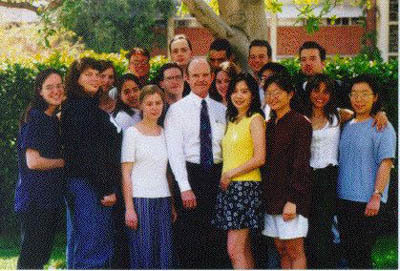 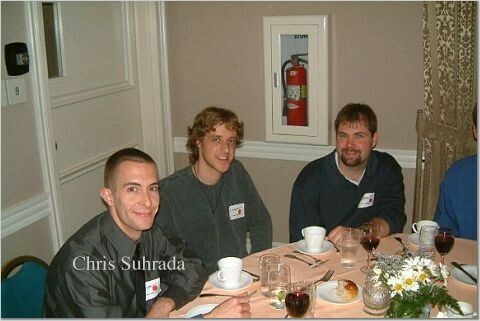 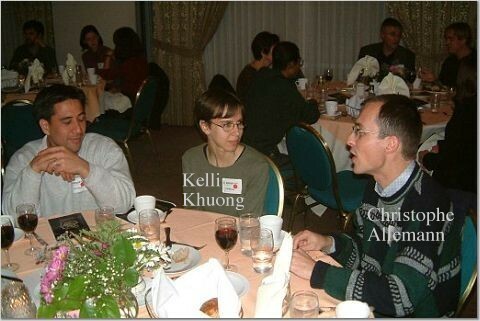 Houk Group after Tolman Banquet, May 1999. 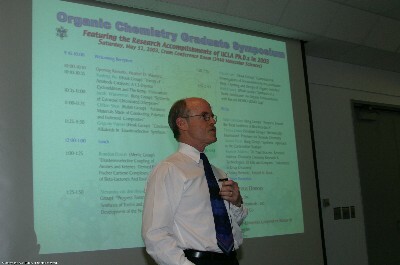 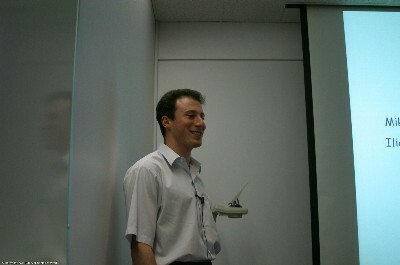 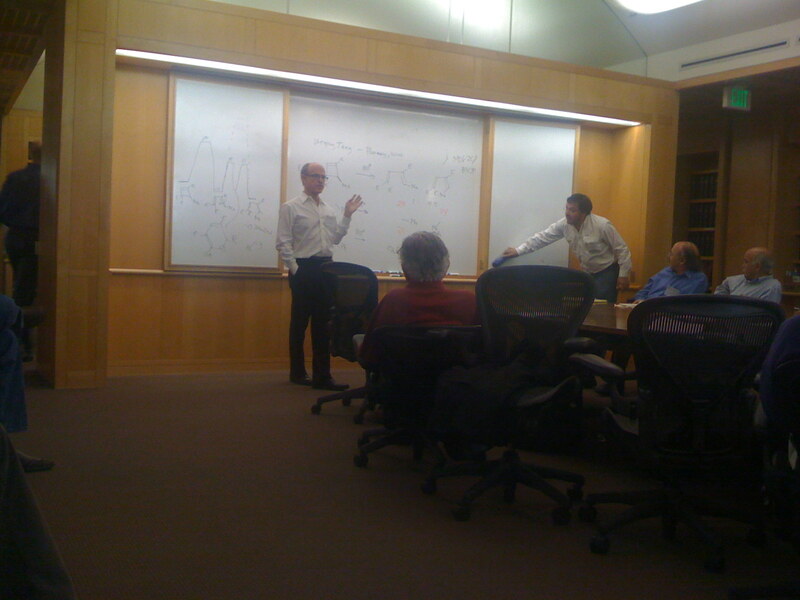 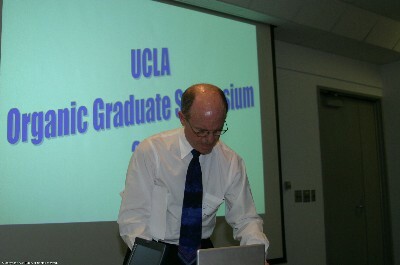 Ken Houk speaking at SynCon at USC, May 23, 2009. 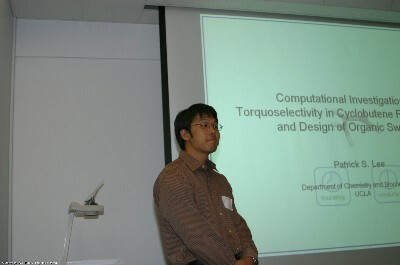 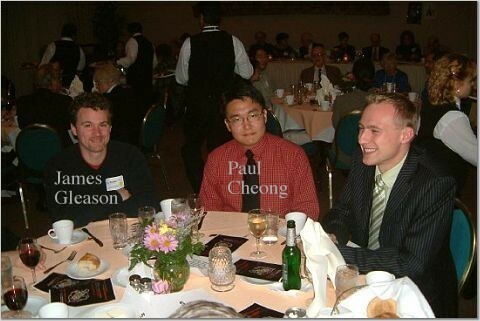 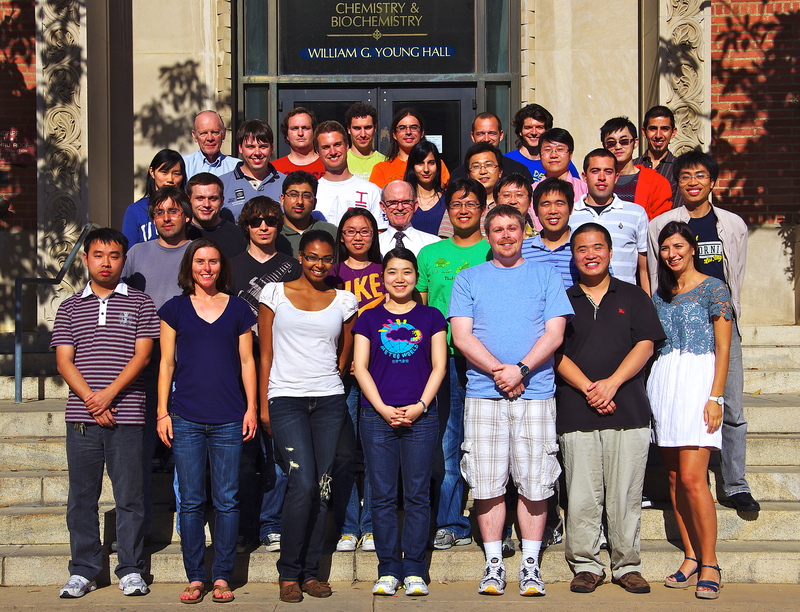 Second from right: Former Houk Group Graduate Student Patrick S. Lee. 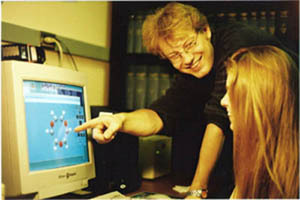 View the television ad featuring Patrick here. 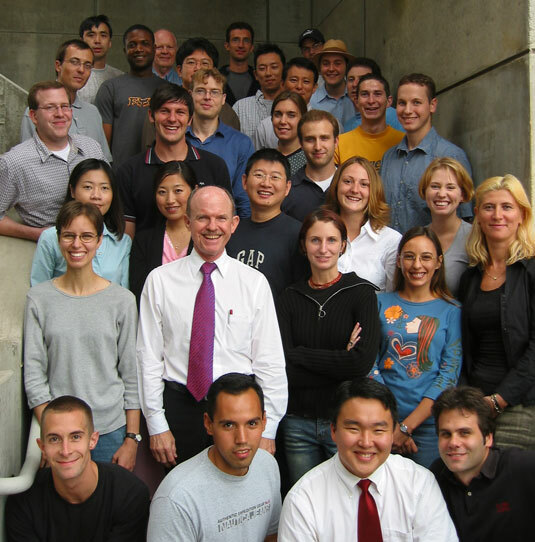 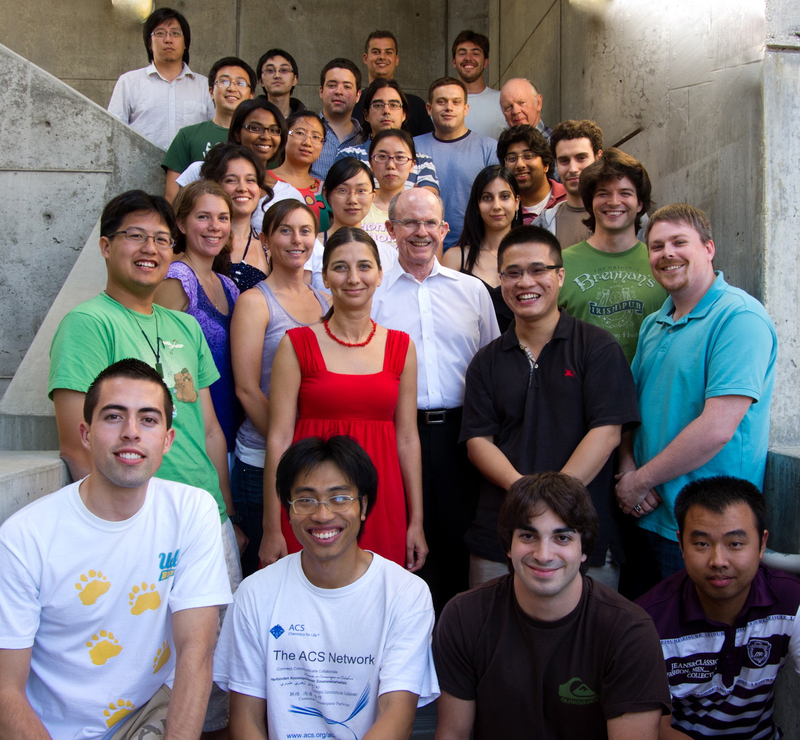 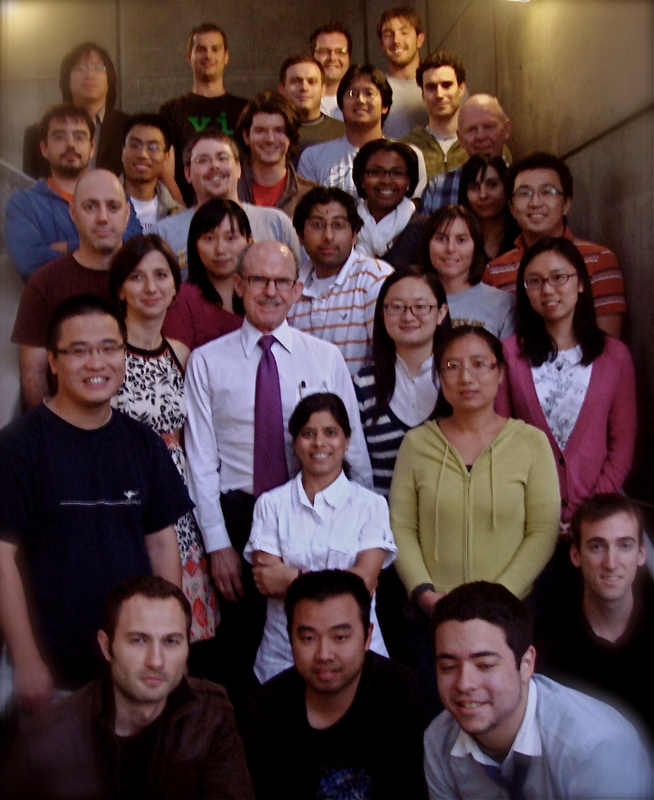 Back row, left to right: Brett Beno, Yi Li, Kensuke Nakamura, Jim Na; third row: ?, Laura Tomlinson, Kirsten Eurenius, Javier Gonzalez, Vicky Aviyente, Hi-Young Yoo, Takashi Kasuga; second row: Jennifer Radkiewicz, Beatriz de Pascual Teresa, Satomi Niwayama, Derrick Benn, Joey Storer; front row: Paul, Ken Houk, Bert Thomas, John Eksterowicz.